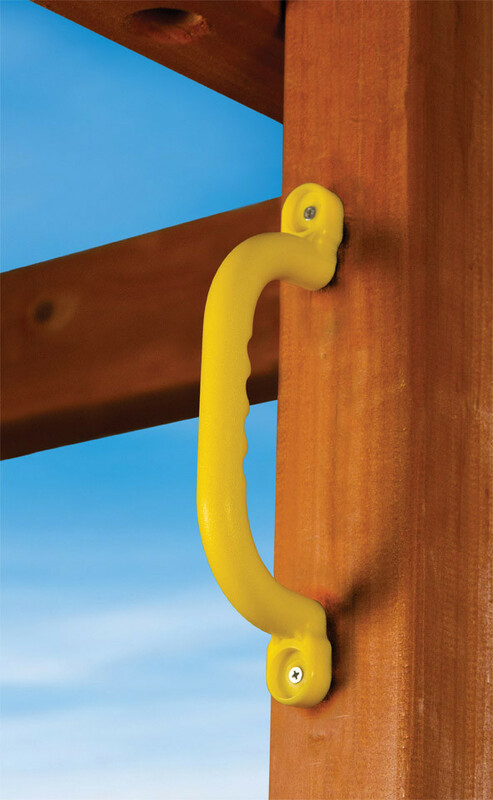 Add safety to your Gorilla playset with these Plastic Safety Handles. While most swing sets come with a set or two you can add these wherever your kids need and extra boost or place to grip. The handles are flush mounted to any wooden surface and are great next to ladders or rock walls leading into a play fort. 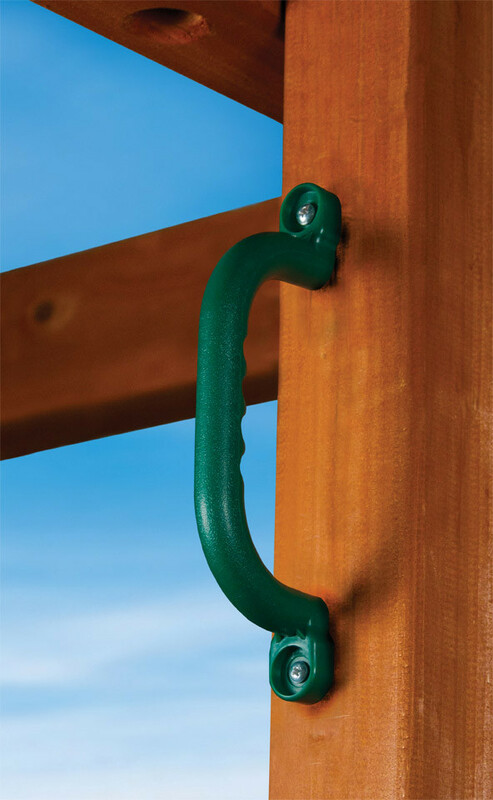 Featuring molded finger grips, these handles are constructed of polyethylene plastic for durability. Choose from three bright colors to match your swing set and you'll get a pair of handles that are 9.5 inches long.